Water retention, also known as fluid retention or edema, is one of the most common of all health issues. Sometimes water retention remedies are suitable for self-directed treatment, but sometimes swelling signals a health issue requiring medical attention. When Do You Need to See a Doctor About Water Retention? When we speak of water retention, we are typically referring to slight accumulations (less than 1 liter/1 quart) of fluid, usually around the ankles or in the feet, or at the site of a bug bite or bruise. Anytime fluid retention causes shortness of breath, dizziness, or loss of consciousness, emergency medical care is essential. But "nuisance" levels of water retention usually are something you can take care of on your own. When you have swelling around the ankles or in your legs, go to see your doctor. If you have been taking a prescription diuretic (for a heart condition or for high blood pressure) and you experience water retention when you stop, you need to see your doctor. Also, anytime you have swelling above the level of your heart that is not associated with an allergy, a bug bite, or a blow to the body that you remember, seek medical care. Smaller amounts of fluid retention lower in the body however, often can be treated with home remedies. Choose socks and stockings that don't have elastic bands. Anything that leaves a red mark on your skin can trap fluid in your feet and ankles and aggravate water retention. Prop up your feet when you sit down. Elevating your feet keeps fluid from accumulating in them by the force of gravity. Stay off your feet as much as you can, taking break to sit down at least once an hour if you work at job that requires standing for long periods. Move around as much as possible. Standing causes fluid to accumulate because veins are stressed, but walking relieves water retention because the arteries are activated, pushing blood and interstitial fluid back up the body. Avoid crossing your legs. Crossing your legs reduces circulation and keeps fluid in your feet and ankles. Sleep on your left side at night. This position takes pressure off the vein that returns blood from your lower legs to the rest of your body. Drink water with small amounts of electrolytes other than sodium. A dash of fruit juice or lemon juice, or drinking mineral water, helps your kidneys flush out the sodium (which causes water retention since the body has to dilute it). Avoid salty foods. A big dill pickle or a serving of cured meats can force your body to retain fluid to dilute sodium. Consider natural diuretics for gentle stimulation of the flow of urine to keep water retention to a minimal. Some natural diuretics double as food and herb. Salad greens such as endive and radicchio, for example, are both food and diuretic. Dandelion greens are used in salads and in "spring tonics" that get the kidneys working harder while providing minerals to replace those lost in urination. And for herbal support I recommend a product called Aqua-Rite. It's one of just a few products on the market that uses buchu leaf along with dandelion and olive leaf extract. Buchu leaf comes from a bush that is common in South Africa. Some people find the scent of the leaf aromatic, and some people find it unpleasant, but it is a reliable diuretic. It was the primary treatment for edema and congestive heart failure in American medicine in the nineteenth century. Dandelion extract is also a proven diuretic. A clinical trial at the Tai Sophia Institute in Laurel, Maryland, in the United States found that the first dose of dandelion extract increases the frequency of urination, then second dose of dandelion extract on the same day increases the volume of urination, and a third dose later in the day has no additional effect. Dandelion is a twice-a-day herb, not a thrice-a-day herb. 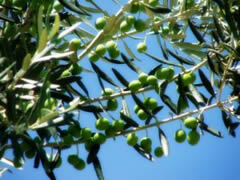 Olive leaf has been used as a diuretic since Roman times, over 2,000 years. It also slightly lowers blood pressure and reduces the risk of urinary tract infections. Taking a product such as Aqua-Rite and following the ten recommendations above usually clears up water retention in a few days. Special situations, as discussed below, may require special considerations. Q. Will losing weight treat water retention? A. The kind of water retention you can treat with simple lifestyle changes and herbal remedies is in the range of just a few pounds (up to about 3 kilos). Actually, treating water retention helps you lose a small amount of weight, not the other way around. Q. Should I go on a strict no-salt diet to treat water retention? A. Even if you eliminated salt from your diet (which is not a good thing, because the human body needs a minimum of about 500 mg of sodium, every day, about the amount of sodium in a scant teaspoon of salt, for normal function), you could still have water retention caused by venous insufficiency. In venous insufficiency, the valves in the veins in the legs are not strong enough to force blood up to the water, so the fluid in blood plasma leaks into the tissues at the ankles and in the lower legs. You have to build up (with products like gotu kola) or compensate for (with compression stocking) venous insufficiency to take care of this kind of water retention. In this case, diuretics would not work, either. Q. What is going on when diabetics get swollen ankles? A. For many diabetics, especially those who take the drugs Actos (pioglitazone) or Avandia (rosiglitazone), the problem is not venous insufficiency (although diabetics are prone to venous insufficiency, too) but congestive heart failure. The drugs weaken the heart muscle so it can't "pull" blood back up from the lower extremities of the body. There is an easy way to tell whether the problem is congestive heart failure or venous insufficiency, both conditions common in diabetes. Venous insufficiency usually causes itchy skin. Congestive heart failure does not. 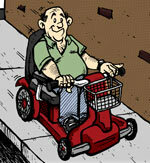 Venous insufficiency can cause muscle pain that is relieved by getting up and moving around. Peripheral arterial disease (which is a condition many Americans see in advertisements for blood thinning medications) is worsened by getting up and moving around. Q. Can't liver or kidney failure cause swollen ankles? Shouldn't you always go to the doctor to make sure you don't have liver or kidney failure when you have swollen ankles? A. It is true that both liver and kidney failure can cause swollen ankles, but they usually present many other symptoms as well as swollen ankles. It is important for diabetics to have testing for creatinine at least once year to detect kidney damage in time for treatment to prevent kidney failure. Kidney failure can cause symptoms similar to venous insufficiency, but there will also be systemic problems. If you have diabetes, get the tests you need for kidney function before any symptoms appear. Liver failure does not always cause the characteristic jaundice or yellowing of the skin, but there would also be fatigue, mood changes, and clear indications of liver damage in blood testing. If you have sudden swelling all over your body, especially swelling over the level of your heart not associated with allergies or trauma, then seek immediate medical attention. But herbal diuretics are appropriate for mild swelling of the feet, ankles, and lower legs. Water retention you can treat on your own does not present symptoms that interfere with basic functions in daily life.